Deutsche Messe this week said it would axe CeBIT, once the world’s largest IT expos/evebts, and would integrate what is left it into the Hannover Messe show going forward. 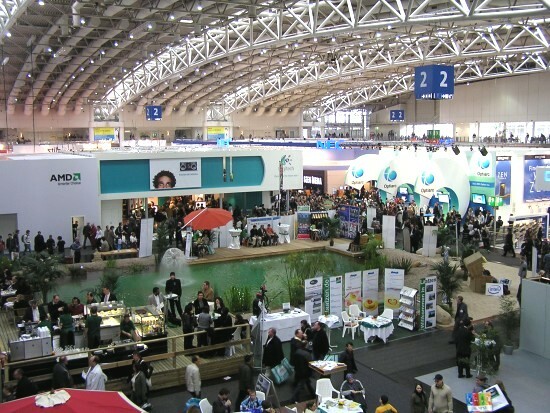 The trade show organizer said that as demand for horizontal high-tech exhibitions is diminishing. From our perspective, the number of attendees in recent years has been comically low, too. As a result, the expo space bookings for CeBIT 2019 got too low for the show to be economically viable, forcing the company to restructure its event portfolio. I Thought CeBIT Was Already Dead? Originally the IT part of the Hannover Messe, the first CeBIT trade show took place in 1986, around the dawn of the PC era. Being held on the Hanover Fairground, one of the world’s largest venues for trade shows, CeBIT was never constrained by show floor’s space. With an exhibition area of approximately 450,000 square meters, it could attract a peak of 850,000 attendees in the late 1990s or early 2000s. 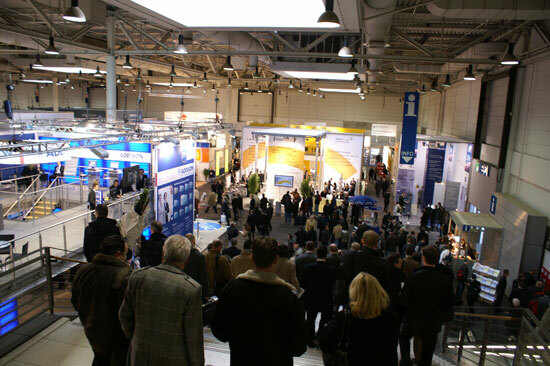 Back then, CeBIT (which is an acronym for Centrum für Büroautomation, Informationstechnologie und Telekommunikation) was larger than CES/COMDEX and Computex both in terms of space and the number of visitors. As the high-tech industry develops, it grows larger both in terms of horizontals and verticals. On the one hand, IT now spans from ‘smart’ diapers to complex medical equipment, from a smartphone to a gigawatt datacenter that serves it, from smart white goods to data-gathering waste receptacles, and from a PC to a self-driving car. On the other hand, all of the industries have their own product cycles, requirements, and targets. As a result, it becomes increasingly hard for different companies to present something all-new at an all-encompassing high-tech exhibition, which means that many end up showing either already well-known devices or very early barely working prototypes at such trade shows. Being the largest high-tech expo, CeBIT had to preserve its large scope, but that made it less attractive to professionals who naturally want to see next-gen products nearing their release. When it comes to PC market, CeBIT’s timing in March was not favorable at all. PC companies tend to release products in three cycles every year: in March , in August (ahead of back-to-school season), and in November (ahead of the Christmas shopping season). Typically, PC hardware makers show off their key upcoming products at CES in January, then start their sales in one of the timeframes. Products bound specifically for the back-to-school and Holiday seasons are usually demonstrated at Computex in June. And devices set to hit the market by end of the year are announced at IFA in September. Given a relatively short amount of time between CES and Computex, PC companies do not have many new items to show in March. Furthermore, with MWC Barcelona held in February and MWC Shanghai held in June, companies from the mobile space also do not have anything new to show at CeBIT. Meanwhile other industries have their own cycles that are not aligned. All facts considered, CeBIT’s relevance for IT professionals dropped in the recent years, whereas consumers did not really bite the show. With only about 200,000 attendees in the recent years, the number of exhibitors dropped from around 6,000 in 2008 to approximately 3,300 in 2016. 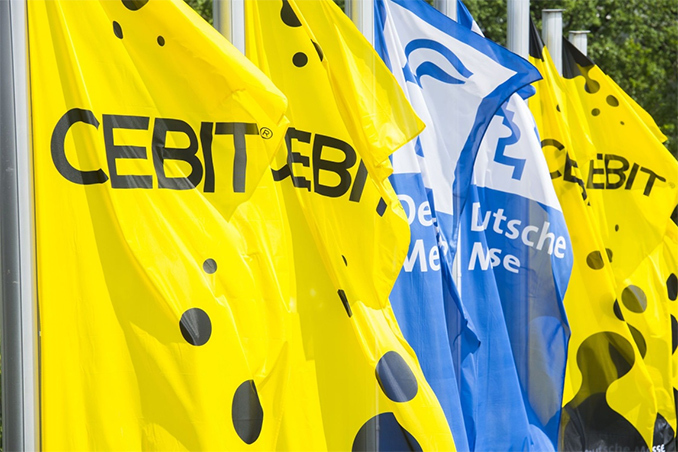 As a consequence, CeBIT as a standalone event lost its value to Deutsche Messe too. Going forward, the organizer plans to fold CeBIT into Hannover Messe, an expo that covers a variety of industries, where it once belonged. It of course remains to be seen whether Hannover Messe will gain any substantial significance in the IT world outside of Germany/Europe because of this merge, but at least CeBIT will not decease completely. Having covered multiple CeBITs throughout my career, I must say that it is hard to overestimate the significance this trade show was for me back in the day. It naturally had a great impact on me professionally and I will always remember the fun of Münchener Halle drinking beer with my ATI/AMD and NVIDIA friends at the same time. In the meantime, I have to admit that with fewer basic announcements being made at CeBIT in recent years, and with trade show directly competing against Computex in June 2018, this glass is empty and will not be refilled. Half liter or full liter? 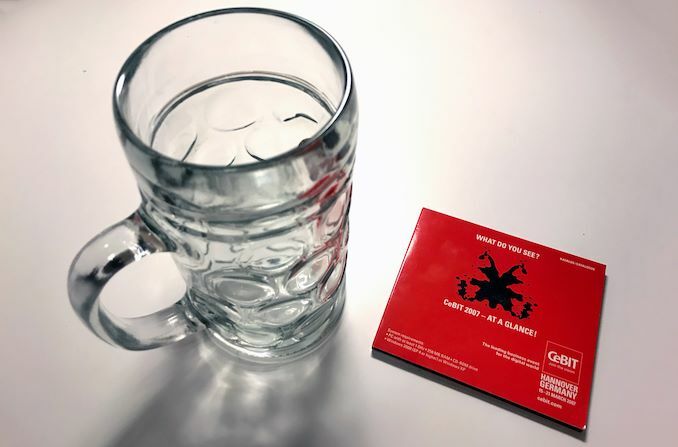 Which brewery's beer should be in the mug? Löwenbräu or Franziskaner Weißbier. I did not have a Löwenbräu-branded mug at hand, so used a Paulaner-branded one. such fond memories; putting faces to the people you've met online from different publications and manufacturers.